The Hall comprises a large open space, with a vaulted, beamed ceiling, and stage with lighting. There is a small ‘Green Room’ and additional toilet adjacent to the stage. The storage room behind the stage contains sufficient tables for dining together with 100+ cushioned chairs. The Hall can accommodate up to 100 people for a standing buffet-style event or formal presentation seated in rows; up to 80 people seated for an event such as a quiz night with light refreshments, or up to 60 people for more formal dining. Smaller tables and chairs for young children’s parties may be borrowed from Acorns by prior agreement and for a small donation to nursery funds. 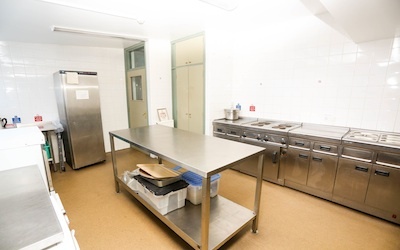 There is a large well-equipped kitchen, registered for food preparation with Guildford Borough Council. 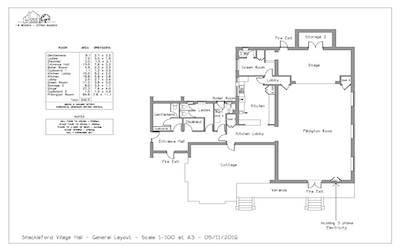 Use of the kitchen space for preparing hot drinks and serving pre-prepared food is included in the hire charge. 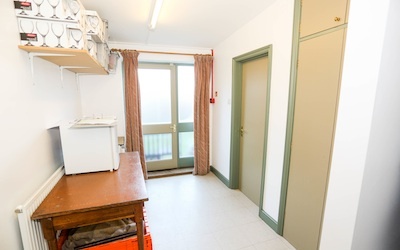 Use of the main equipment, ovens, dishwasher, crockery and cutlery is at a small extra charge. 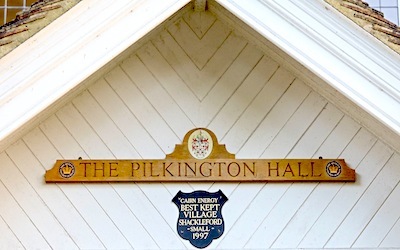 The Hall is kept permanently heated and is professionally cleaned. The building is maintained to a high standard and there is a program of continuous improvement. Acoustic panels have been fitted to reduce reverberation and create a more comfortable atmosphere. There are audio-visual facilities for speech, music, video and presentations. The Hall is within easy walking distance of St Mary’s Parish Church and there is ample parking.